It's holiday time for cinema-lovers, with the 67th Cannes Film Festival -- the most prestigious international festival for cinema -- opening this week on the French Riviera. As usual, this year promises a heady lineup of star power, both in front of the camera (this year's films feature Annette Bening, Steve Carell, Jessica Chastain, Nicole Kidman, Julianne Moore, Robert Pattinson, Kristen Stewart, Hillary Swank, Channing Tatum and Mia Wasikowska), as well as behind (directors include David Cronenberg, Jean-Luc Godard, Mike Leigh, Ken Loach, Wim Wenders, Zhang Yimou, and Tommy Lee Jones, along with first-time director Ryan Gosling). Here is a preview of some of the anticipated highlights and prize-contenders to screen at the festival, which runs from May 14-25. From the director of "The Sweet Hereafter" and "Erotica," so there will be nothing neat and tidy about the characters and what they go through. Ryan Reynolds, Rosario Dawson, Scott Speedman and Mireille Enos star in a drama of a family desperate search for their daughter who simply vanishes. Juliette Binoche and Kristen Stewart star as an older actress and her personal assistant, whose lives get complicated with the arrival on the scene of an up-and-comer (Chloe Grace Moretz) recreating the older actress' iconic role. Assayas directed the 2010 Golden Globe-winning mini-series, "Carlos the Jackal." 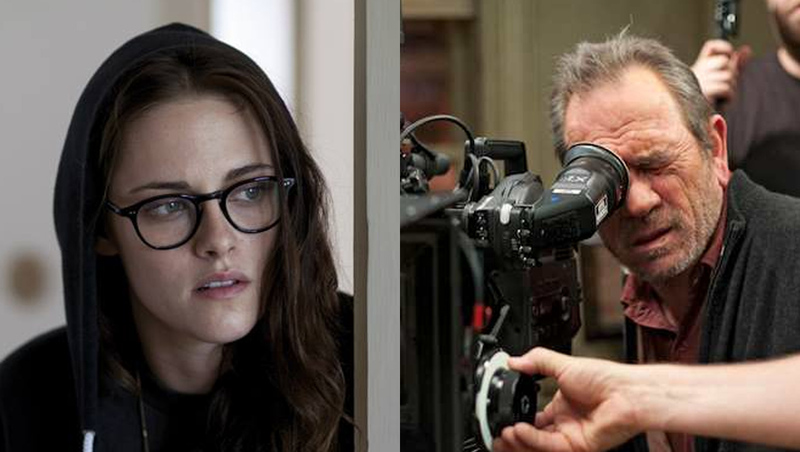 IFC Films will release "Clouds of Sils Maria" in the U.S. in late 2014 or early 2015. From the director of "Moneyball" comes another real-life sports tale, but one much more murderous, about Mark and Dave Schultz (Channing Tatum and Mark Ruffalo), brothers and Olympic wrestling champions who become entangled with the eccentric heir of the du Pont fortune, played by Steve Carell. Sony Pictures Classics will release in November 2014. The 83-year-old filmmaker -- the most radical proponent of the French New Wave (and beyond) -- comes to Cannes with a 3-D film about which virtually nothing is known, except that it has no name stars and a big name (20th Century Fox) distributor. The Oscar-winning actor, who has directed three theatrical and TV films before (including "The Three Burials of Melquiades Estrada"), debuts his latest film, which sports a rich cast -- himself, Hilary Swank, Miranda Otto, John Lithgow, Tim Blake Nelson, Hailee Steinfeld, Meryl Streep and James Spader are the tip of the iceberg. The tale of pioneers in the American West -- including three women who have gone insane -- is based on the novel by Glendon Swarthout. The veteran British director, who won the festival's top prize in 2006 for "The Wind That Shakes the Barley," returns with another tale of Irish conflict, this time centered on the construction of a dance hall in a small village that runs afoul of the Church. Barry Ward, Andrew Scott (Moriarty in the BBC's "Sherlock"), Simone Kirby and Jim Norton star. A social drama inspired by the Biblical story of Job, set in a corrupt, contemporary Russia. A satire of Hollywood, written by Bruce Wagner, who had worked as a limo driver in L.A., so he knows of what he writes. The cast includes Julianne Moore, Robert Pattinson, Mia Wasikowska, John Cusack, Olivia Williams and Evan Bird. A NSFW trailer is available here. Cronenberg, whose films include "Naked Lunch," "A History of Violence," "A Dangerous Method" and "Cosmopolis," won a festival prize for "Crash." The father-daughter dynamic is central to this quixotic tale of a family of beekeepers -- one of only two competition entries directed by a woman. A mysterious woman inserts herself into the home of a widowed single mother and her son. The life of British painter J.M.W. Turner gets the biopic treatment, but not your ordinary biopic treatment. This is a passion project for Leigh (whose films include "Life Is Sweet," "Topsy Turvy" and "Secrets and Lies"), and stars Timothy Spall, best known for "The King's Speech" and as Wormtail in the "Harry Potter" series. At the very least this premiere should prove a boon for the red carpet: A biopic of fashion designer Yves Saint Laurent (actually, one of two films coming out this year) that stars Gaspard Ulliel, Louis Garrel, Lea Seydoux ("Blue Is the Warmest Color"), Helmut Berger and Dominique Sanda. Following up his 2011 Oscar-winner, "The Artist," Hazanavicius directs his wife Berenice Bejo and Annette Bening in a remake of Fred Zinneman's post-WWII tale (which marked the debut of Montgomery Clift), now updated to war-torn Chechnya. The director has worked in both non-fiction and fiction, and has won two awards at previous Cannes festivals. In 1997 she was the youngest winner ever of the award for new filmmakers. The trailer shows some flashes of smile from star Marion Cotillard (and what a smile . . . ), but the plot description -- of a Belgian woman struggling to maintain her job over the course of a weekend -- sounds gritty. The filmmakers, best known for "La Promesse" and "The Kid With a Bike," have won the top prize at Cannes twice (for "Rosetta" and "L'Enfant"). Inspired by the true-life story of the stoning by Islamists of an unmarried couple in Mali in 2012. Ceylan won the festival's Jury Prize for his stunning 2011 film, "Once Upon a Time in Anatolia." A supernatural air surrounds this tale of two people each facing personal crises at a Paris airport, which may involve birds. Actor Mathieu Amalric ("The Diving Bell & the Butterfly") won the Best Director prize at Cannes in 2010, for "Tournee." His latest is a drama about an affair that leads to murder. This two-part film, starring Jessica Chastain and James McAvoy, tells the same love story twice, but from two different perspectives: hers and his. Viggo Mortensen stars as a father traveling with his daughter from Denmark to Patagonia. The actor ("Drive," "The Place Beyond the Pines") is now coming to Cannes as a director, with a fantasy thriller starring Christina Hendricks, Ben Mendelsohn, Eva Mendes, Saoirse Ronan and Matt Smith, which Warner Brothers will release later this year. A documentary focusing on the life's work of famed photographer Sebastiao Salgado. An editor whose credits include "Red Riding 1974" and "Lucky Number Slevin," Hulme makes his directing debut in this story of a petty crook whose best friend, a Muslim, is killed, and who converts to Islam to break out of his life of crime. The youngest member of a crime family tries to escape their pull - and the key to success may be his new wife. The opening night of the festival will feature "Grace of Monaco," a biopic of Princess Grace starring Nicole Kidman; the contentious battle over the cut of the film (between the director, Olivier Dahan, and the film's distributor, Harvey Weinstein) seems to have been settled. Also scheduled is "Coming Home," a tale of a family trying to survive the changing political winds of China. It's the latest film by director Zhang Yimou and his favorite actress, Gong Li (the two collaborated on "Red Sorghum," "Ju Dou," "Raise the Red Lantern," "To Live" and "Shanghai Triad," among others). "The Rover" by Australian writer-director David Michod ("Animal Kingdom") will bow at a midnight screening. The crime drama stars Guy Pearce, Robert Pattinson and Scoot McNairy. "The Salvation" by Kristian Levring (Denmark) stars Mads Mikkelsen, who won Cannes' Best Actor award in 2012 for "The Hunt," in this tale of Danish settlers in the American West of the 1870s who confront violence, murder and more. Eva Green co-stars. The festival closes with a screening of "How to Train Your Dragon 2." This year's festival jury is headed by New Zealand director Jane Campion ("the Piano"); other members include actress Carole Bouquet, writer-director Sofia Coppola, Iranian actress Leila Hatami ("A Separation"), South Korean actress Jeon Do-Yeon ("The Housemaid"), actor Willem Dafoe, Mexican actor-director Gael Garcia Bernal ("Y Tu Mama Tambien"), Chinese director Jia Zhangke ("Still Life"), and Danish director Nicolas Winding Refn ("Drive," "Valhalla Rising").